Are You A Trader That’s Wanted To Take Your Trading To The Next Level. But Lack Clarity, Direction & Certainty On How To Generate Consistent Profits? Imagine, you start day trading part-time and begin to supplement your work income from home, imagine how much more possibilities and options that would open up to you in your life?. What would this mean for you and your family?. your future?. your life?. Let me ask you a question: Have you found a way to make money trading stocks consistently. a way that lets you confidently trade without the fear of “blowing up” your account? If you’re like the vast majority of people, you answered “no” to that question. Millions of people daydream about being able to trade stocks and consistently come out ahead. but only a tiny fraction of those people ever make it happen. That is what keeps most would-be traders from ever opening a brokerage account in the first place. They’ve heard horror stories from friends and coworkers about how they set out with a “sure fire” trading strategy that was supposed to make them millionaires overnight. but ended up losing everything they’d worked so hard for. If this sounds familiar to you, I understand. It can be hard to take that first step toward trading (even if you’re just planning to trade on a casual basis), only because the risk seems enormous! What I mean is this: Get-rich-quick trading strategies are everywhere. Chances are, you know someone who thinks they have a “foolproof” plan for making millions in the stock market overnight. Or you’ve been looking for investment advice online and stumbled upon a half-dozen articles touting the “next big thing” in millionaire trading. But, try to find a methodical, well-tested approach for repeatedly making money from your trading efforts, and you’re probably going to end up empty-handed. The likelihood of you (or anyone else) becoming a millionaire overnight by trading stocks is damn near zero. It’s a nice fantasy, of course. That’s why there are plenty of trading “gurus” out there who will sell you any crazy scheme you’re willing to buy – the allure of a multi-million dollar day is just too much for many people to resist. And for every stock trader with a beachfront mansion and a fleet of Lamborghinis, there are a million traders who “blew up” their accounts trying to get rich fast. If that’s your plan, I wish you the best of luck. (You’re certainly going to need it). “Now that I have that out of the way, how about some good news?” OK, HERE IT IS. “This Measured, Well-Planned Approach I’m Talking About Won’t Put Millions In Your Bank Account By This Time Tomorrow. If you’ve ever dreamed of successfully profiting from stock trading, it can give you the power to put a few hundred (or a few thousand) extra dollars in your pocket without much stress or worry if you have the “right” education and pro trading system. 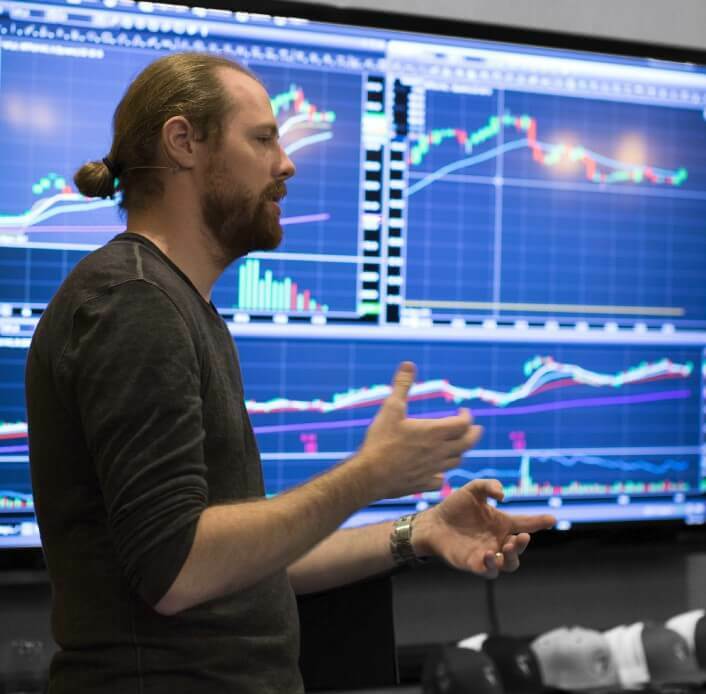 And if you’re willing to commit to learning the correct trading methods from the ground up, and to building and fine-tuning your skills as you go, you can potentially start a part-time (or even full-time) trading career. and finally, have the freedom and financial stability you deserve. In a moment, I’m going to tell you about the proven system that gives you the power to start trading profitably. It’s not a get-rich-quick scheme. In fact, it’s the opposite of that. There’s no fluff and no hyped-up promises. But if you follow the coursework I’ve methodically laid out for you, you will be in the best position possible to start making money with your trading account.